Earn $3.09 in Rewards credit (309 points) What's This? Take along the MT-20 Multitool with you and you'll have a pocket-sized solution for just about anything that you'll run into when you're out on your next ride. 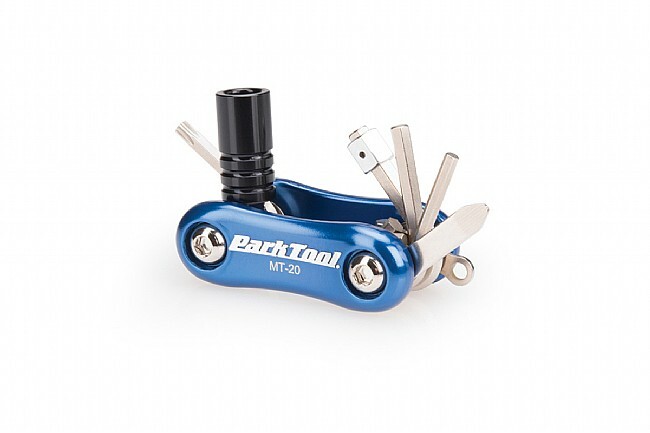 With its high-quality forged aluminum side plates, this folding multi-tool features a mix of hardened and plated tools, and provides smooth ergonomic operation. Claimed weight: 95g (3.35 ounces).